Here are a few things that are in rotation in my daily makeup routine. As always everything is cruelty free and vegan. 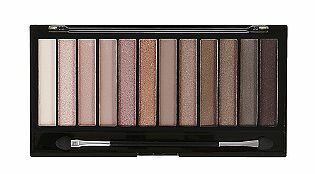 Makeup Revolution - Iconic 3 Redemption Palette: I bought the palette hearing that it is a dupe for Urban Decay Naked palette. Actually all 3 icon palette have been reported as UD Naked dupes. At $7 it is a steal and unlike UD these are vegan and cruelty free. I like the matte shades the best, I found the glitter dark brown burgundy shade (last shade on the right) had a lot of fall out (which I am sure is common with glitter shades - I try to avoid them). They all blend nicely though and the middle colors get a lot of use in my makeup looks. I will most likely go back for the other two. I am more of a liquid matte lipstick fiend lately but could not pass up this set of Anastasia Beverly Hills Lustrous Lip Gloss Set $40 considering each gloss in the set individually retails at $16. The shades range from a true sheer gloss to a deep opaque hue. The darkest color Black Cherry is really rich and opaque. I really like the litter shades for layering and creating a dimensional lip look. The boyfriend bought me a ELF Contouring Brush and it is great for the cheek, chin and forehead area. The dense bristles deposit color nicely. I am not a contouring artist but I do use bronzer to help me define my cheekbones.